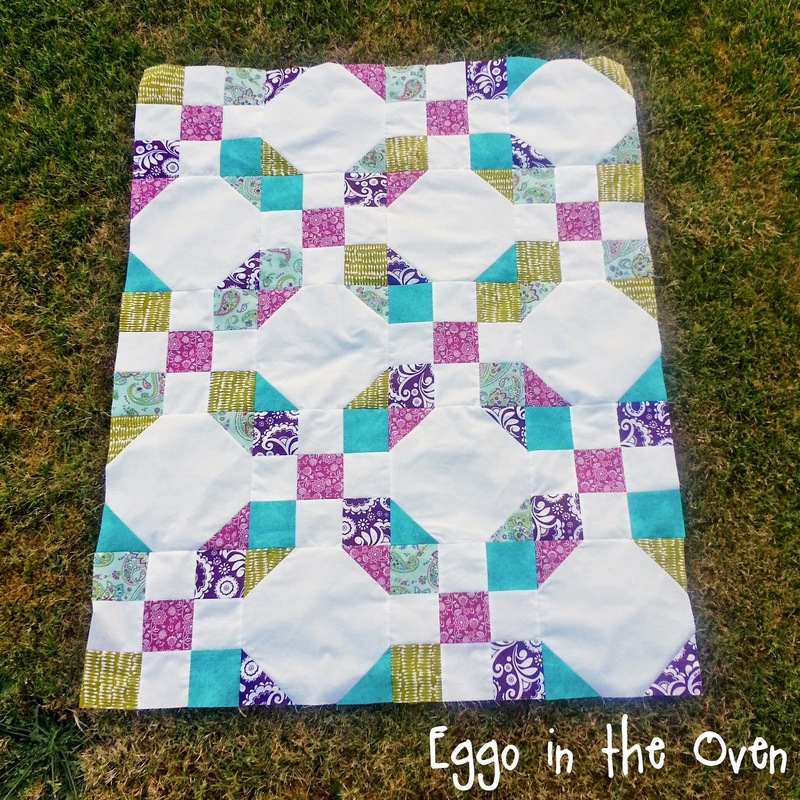 Yesterday I shared some peeks at the SewCanShe sew-along blocks I was working on. Today - - - I have an (almost complete) quilt top to share! Isn't it cool how those two blocks work together to create a completely different look?! I'm loving it so far.... but thinking I want to add a border or two before the top is officially complete. 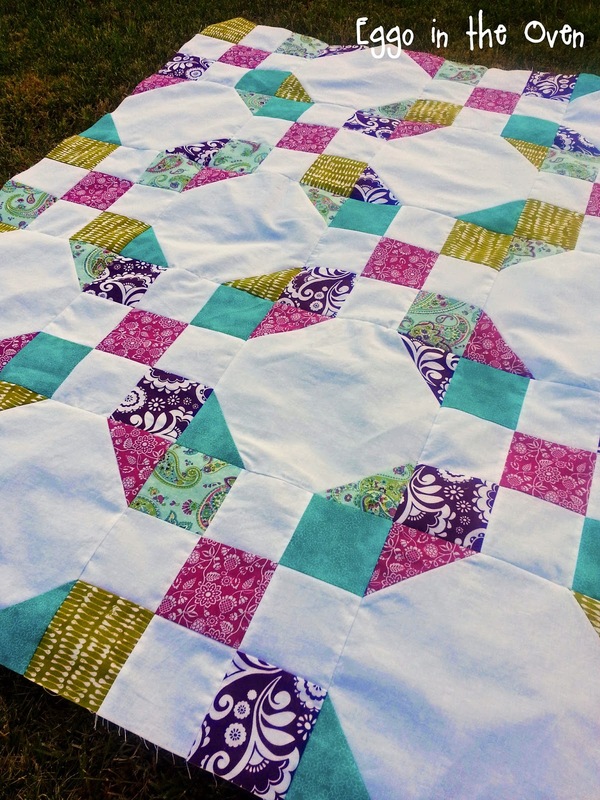 Linking up with WIP Wednesday over at Freshly Pieced - can't wait to see what everyone else is working on! I like how your two blocks work together--not what you'd expect! I think I'd also add a border to this. Nicely done! Love the purple and aqua together, looks great! I think a coordinating border would look nice! Great layout - I really like the mix of colour with white being in the majority. Can't wait to see it finished! Yes you could easily put some borders on. I love your colors so that fushiay color or the goldie/green color would be great in two borders. I am not sure if that is the colors or just my computer but it looks good. 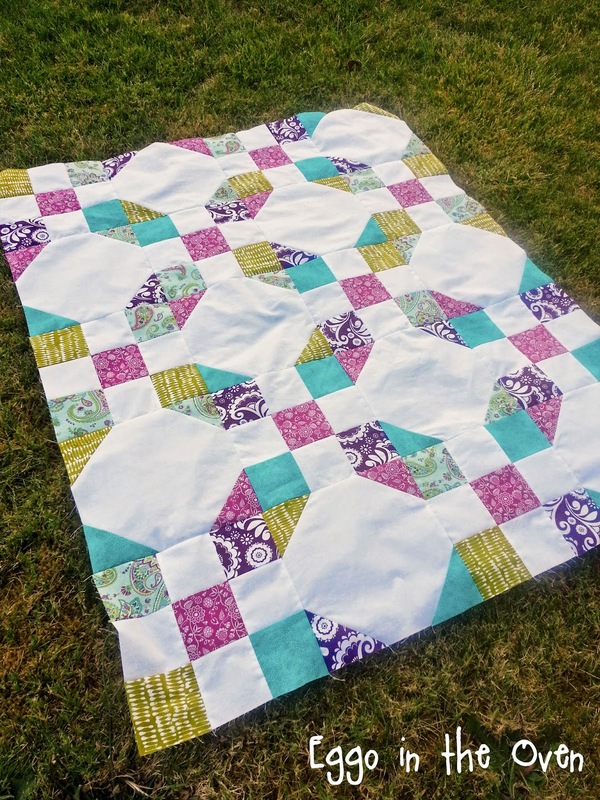 I finished mine this week from the snowball and 9 patch combo..what a fast and fun quilt.